Graduations are a time to celebrate, and there is no better way to share in your graduate's success than with a party. 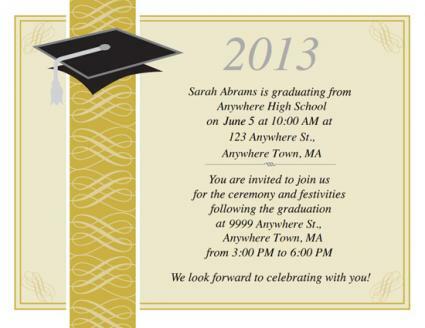 Gather family and friends using these free invitations perfect for any graduation celebration. If you need help downloading the printable invitations, check out these helpful tips. Invite everyone to celebrate with you by watching you walk across the stage, and gather together after the ceremony to celebrate your achievements with this invitation. Print the ceremony and party invitation. If you're hosting a party at a date other than your graduation ceremony date, you may want to invite people to the ceremony separately. Let them know where and when to arrive with this invitation. Use this invitation for your ceremony. When space is limited at the ceremony, many graduates invite extended family and friends to just their party. Fill in this invitation with your party details. Invite everyone to your party. Hoover Web Design offers a wide variety of simple invitation designs that are festive for any celebration. 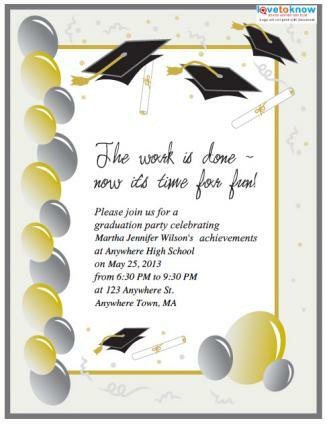 Graduation Invitations and Graduation Party Ideas allows you to download free invitation templates that you can insert into a Word document for easy printing. Graphics range from elegant banners and scrolls to festive smiley faces. 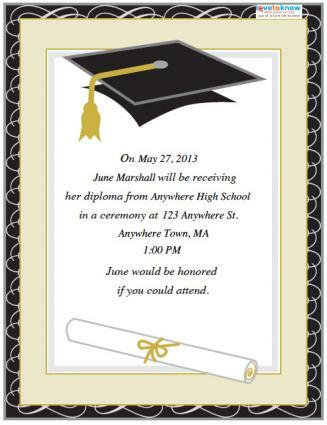 Internet Family Fun has several simple but free templates for graduation invites. Graduates who want to let everyone know they finished their schooling, but don't plan to host a party can send out free printable graduation announcements after the ceremony. Graduation, whether from high school or college, is a great achievement in many young people's lives. Celebrate this milestone in life with family and friends at the ceremony or party in honor of the graduate.